Lace up and get ready to run! 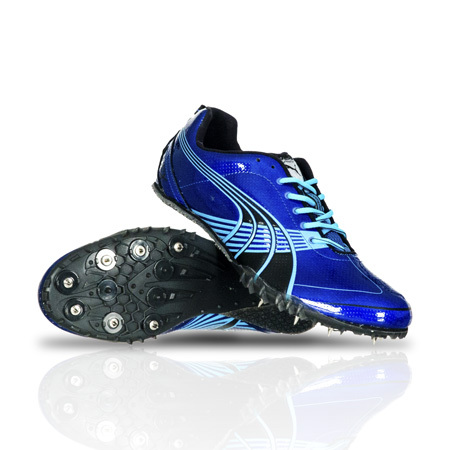 You're sure to be seen in the PUMA® Complete TFX Sprint 3. •A running flat designed for the high school sprinter and hurdler looking for durable performance. •Combination air mesh and synthetic leather upper supply breathable comfort and support. •A sock-like fit allows for comfort even under long training conditions. •Solid rubber outsole for long-lasting grip. •TPU spike plate houses seven spikes and delivers durable traction on varied surfaces. •Product measurements were taken using size Men's 10, Women's 11.5. Please note that measurements may vary by size.